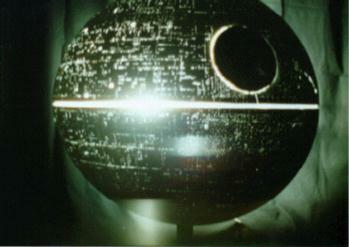 Here it is in all its glory--the Deathstar, from the original Star Wars. 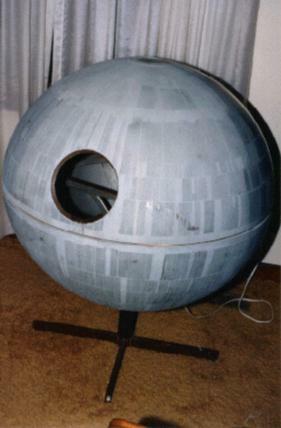 Somehow, Lucasfilm managed to throw this piece away, so it ended up in Missouri! Talk about the ultimate centerpiece to your living room! 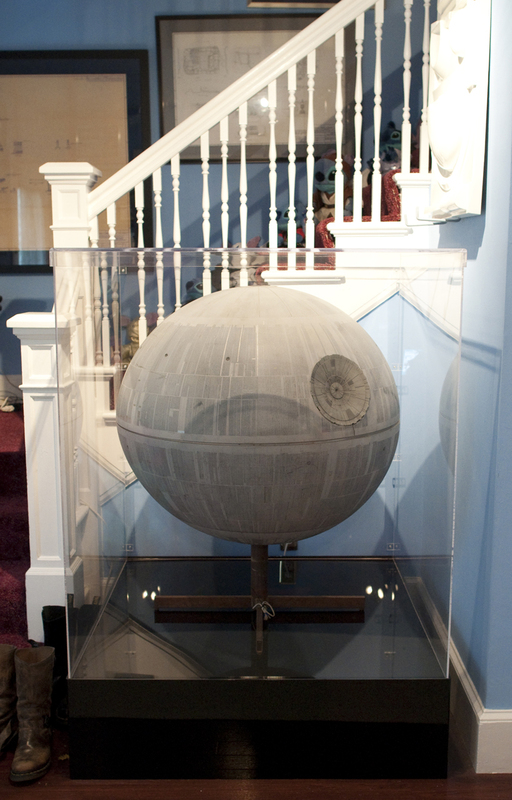 This is perhaps one of the best Star Wars prop pieces in any private collection. The story behind is that Todd Franklin spotted it one day in Lake of the Ozarks, Missouri. It was actually left outside for a period of time and carted all of the way from California before reaching Missouri. It's still in amazing shape, and once you put a light inside it, it's just like seeing it in the movie. A couple had owned a storage facility in California and moved out to Missouri. The movers had accidentally packed it with items that were supposed to be shipped, so they left it outside their store upon discovery that this model had been packed. Fortunately, it didn't remain outside for very long. So Todd talked to person at Lucasfilm about the Death Star. 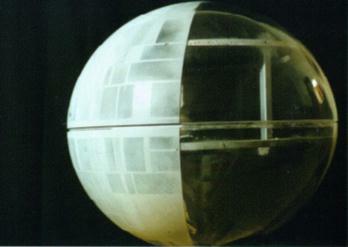 Her name was Judy Niles and she had convinced him that the Death Star was not real. She said the original was blown up for the effect, and that the one he had found was probably fan-made. Todd didn't buy the story but none the less it kept him from buying it, and someone else in the area bought the Death Star. 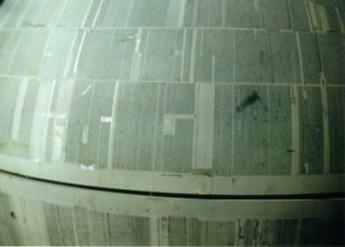 A few years later Todd met Marc Thorpe who at the time was working for ILM as a model maker. He told him of the story and described how the Death Star was built and he thought that it was the real thing. He didn't work on Star Wars, but he did work on Empire and Jedi. Marc thought Judy Niles might have been incorrect (she had left Lucasfilm a few years later). 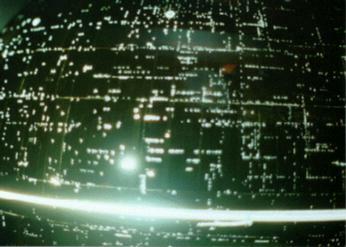 Unfortunately, Todd had missed out on the Death Star, since it was purchased by a local store owner. 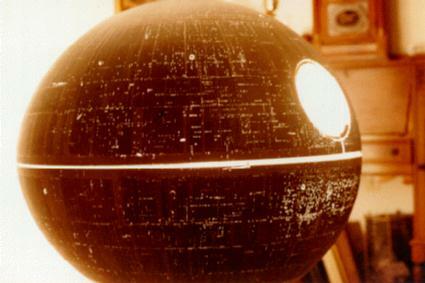 Years later, Tim Williams noticed that the store had gone out of business and that perhaps there was a second chance to purchase the Death Star. So, Todd, his brother, Pat, and friend Tim Willams decided to pool their funds and buy the piece. 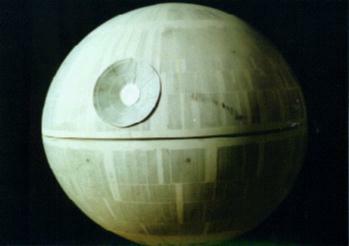 When a light is placed inside the model, the entire model lights up with the full glory of detail that everyone remembers from A New Hope. The careful observer can match up every single point of light with the images on screen (we did!). There are all sorts of patterns on the surface lights. 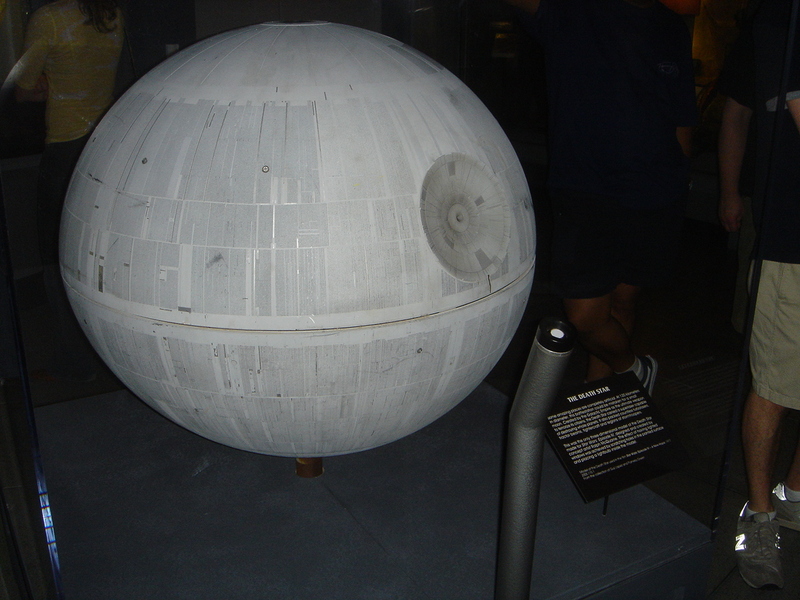 In fact, even some of the artifacts of the internal skeleton for the Death Star and some of the surface detail is visible from movie images. For instance, there are several grey round screws that go around the perimeter of the model which can be seen by carefully examining movie images. The original main dish is missing. It was thrown away by mentally handicapped janitors when it was in the lobby of a music show before Todd, Tim, and Pat bought it. Really! The dish you see is just a cardboard replacement dish that was made to make it look good in the photos.